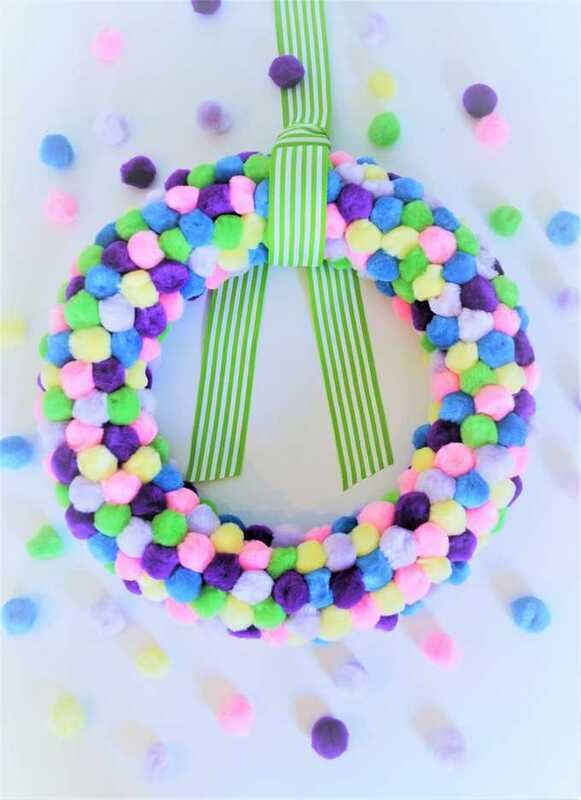 It may still be chilly outside, but this spring pom pom wreath is making me turn my sights to the warmer weather ahead. It takes a few minutes to put together, but it’s easy work; warm up your hot glue gun, turn on your favorite Netflix series (I watched a few episodes of The Kindness Diaries while putting this together), and the time will pass quickly. 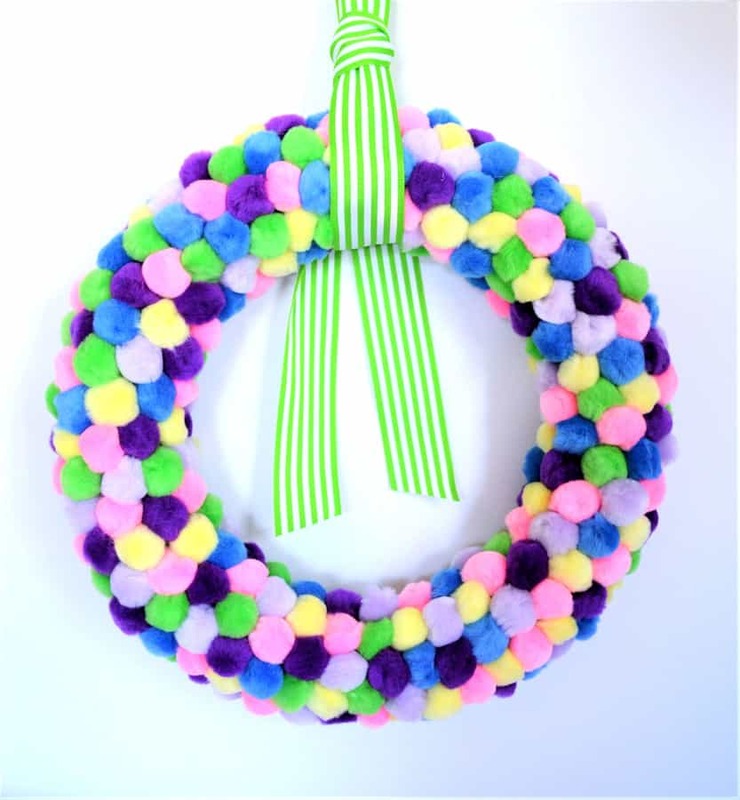 I used packs of pom poms I purchased from Hobby Lobby. I ended up buying five packs, but only used four of them. The packages are already color-coordinated; I used this pack with spring-themed colors, but there are others to choose from if you’re in the mood for something different. 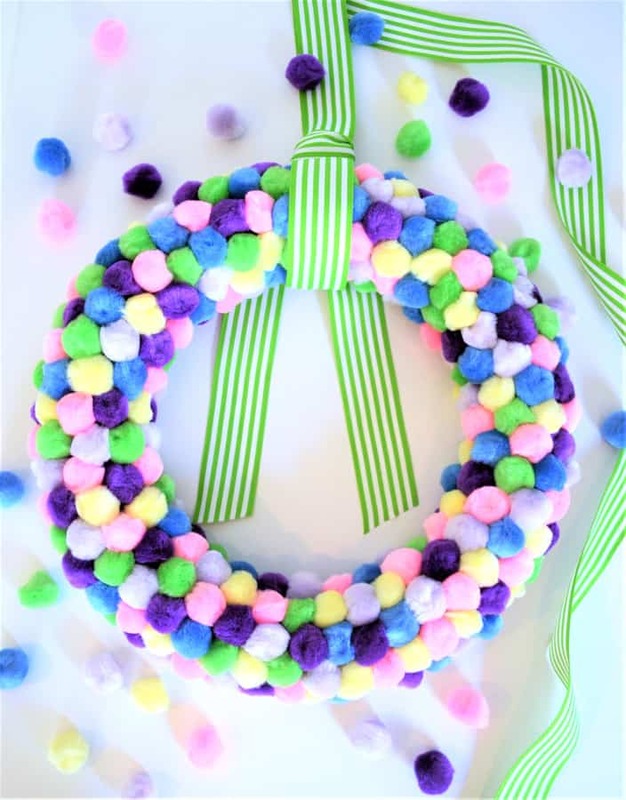 Simply work around your wreath from gluing down your pom poms! I covered three sides of my wreath, leaving the very back, which no one will see, empty. After you’re done, use a length of ribbon to hang. I love this spring-y green and white striped ribbon. 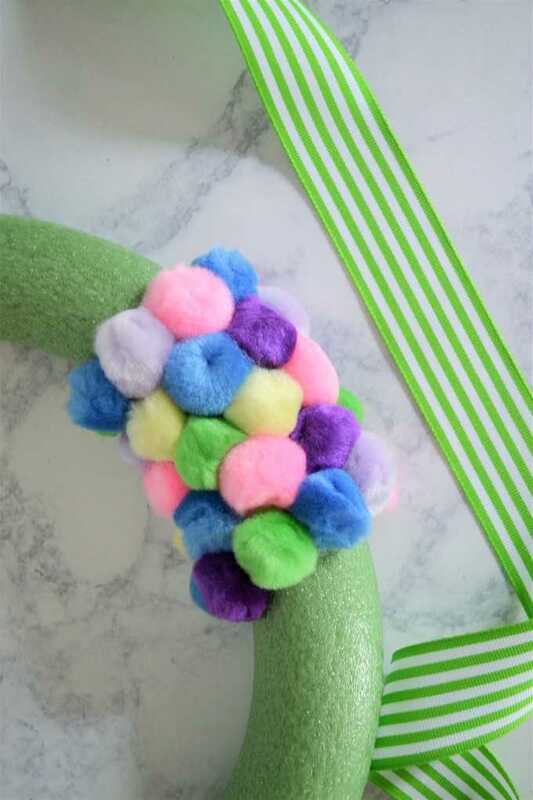 For some extra color, I took a separate length of ribbon, wrapped it around the front of ribbon holding the wreath, and tied a simple knot in the back. 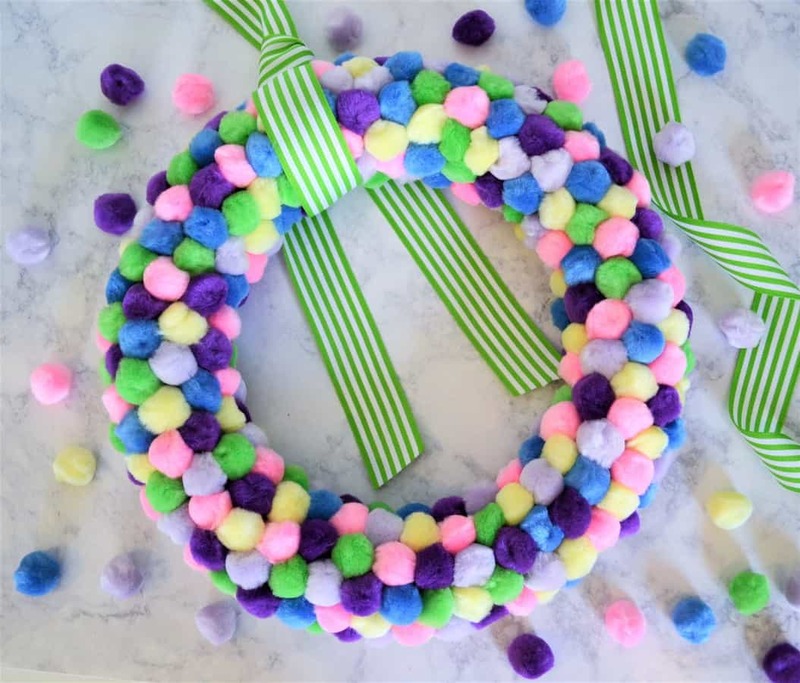 We have so many easy DIY wreaths! Choose your favorite to add some color and seasonal decor to your home! 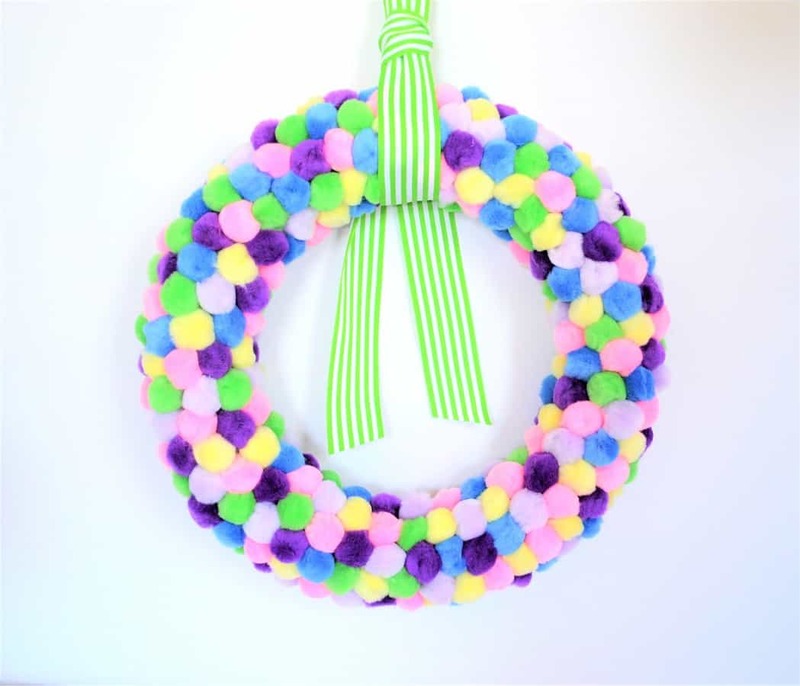 Thanks for reading all about my easy spring wreath! Have a crafty day! That is adorable. My grandchildren would love making one of these if I could only trust them with a hot glue gun! Super cute! I’m sure the glueing of all the pom poms was a pain but well worth the effort!! This looks so easy and pretty! So bright and fresh! 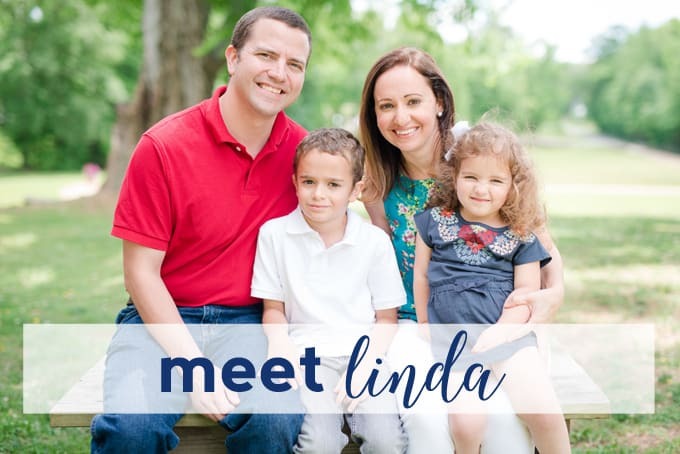 Thanks for linking up to the Friday Frenzy–I pinned and shared this. This is so cute! 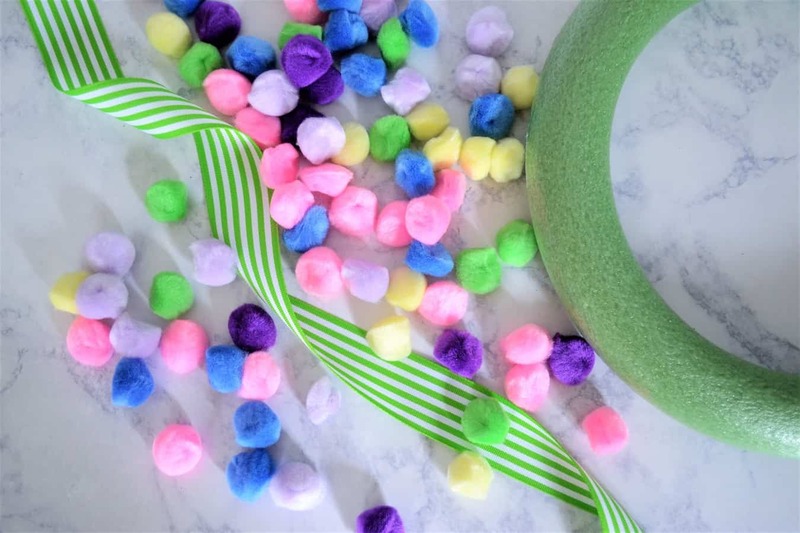 I love the bright colors of the pom poms.Thank you for sharing at Merry Monday. Hope to see you at the party next week! I love, love, love this! Every time I see it on a Link Party it makes me smile! Can’t wait to make one. Thanks for coming up with such a neat idea!